IWC - Portuguese Yacht Club Chronograph "Ocean Racer"
IWC is the official timekeeper of the Volvo Ocean Race, one of the most extreme offshore races with seven teams sailing around the world from the start in Alicante today to the final destination in Gothenburg in June 2015. The teams will cover a total of 38,739 nautical miles, or 71,745 kilometres, in nine months facing the toughest weather conditions. This year’s race also sees the first all-female crew to enter the competition in more than a decade. To celebrate the event, IWC presented a special edition watch: the Portuguese Yacht Club Chronograph "Ocean Racer", limited to 1,000 pieces. The new Portuguese Yacht Club Chronograph "Ocean Racer" features a flyback function and aggregate timing of up to 12 hours, shown by an analogue display with two hands in a subdial. The design of the white dial offers excellent legibility with blue indices and hands treated with Super-LumiNova luminescent material, a first time in a Portuguese model. A few red details contribute to the sporty look of the watch. The 45.4 mm stainless steel case features an unusual crown protection and houses the IWC-manufactured 89361-calibre, a self-winding movement beating at 28,800 vibrations per hours and offering 68 hours of power reserve. The watch is water-resistant to 6 bar. Visible through the sapphire crystal case back, the 360-degree rotor is modelled on a ship’s wheel. 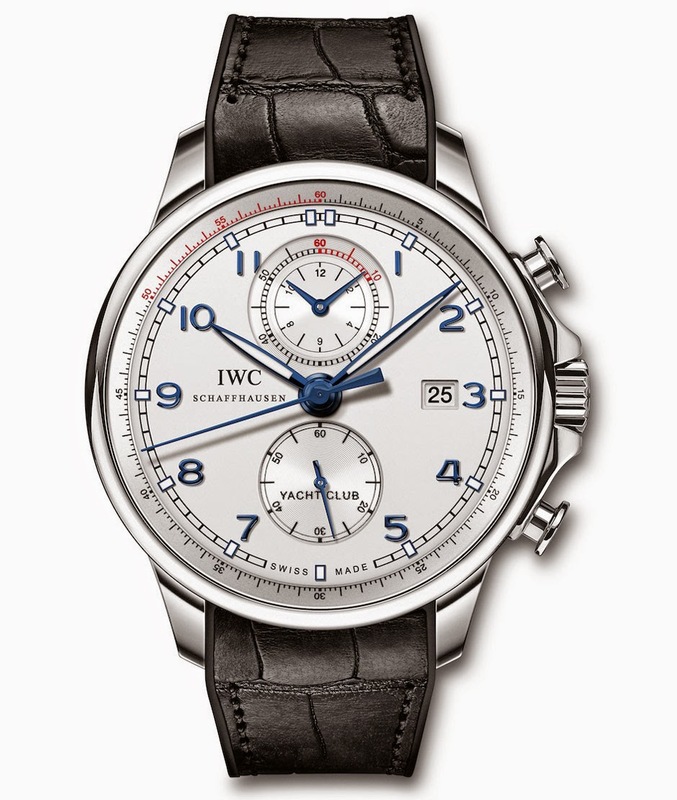 The IWC Portuguese Yacht Club Chronograph "Ocean Racer" (Ref. IW390216) is supplied with a black rubber strap featuring an alligator leather inlay. The timepiece has a retail price of Euro 12,500 / US$ 15,800. Time and Watches: IWC - Portuguese Yacht Club Chronograph "Ocean Racer"
IWC is the official timekeeper of the Volvo Ocean Race, one of the most extreme offshore races with seven teams sailing around the world. 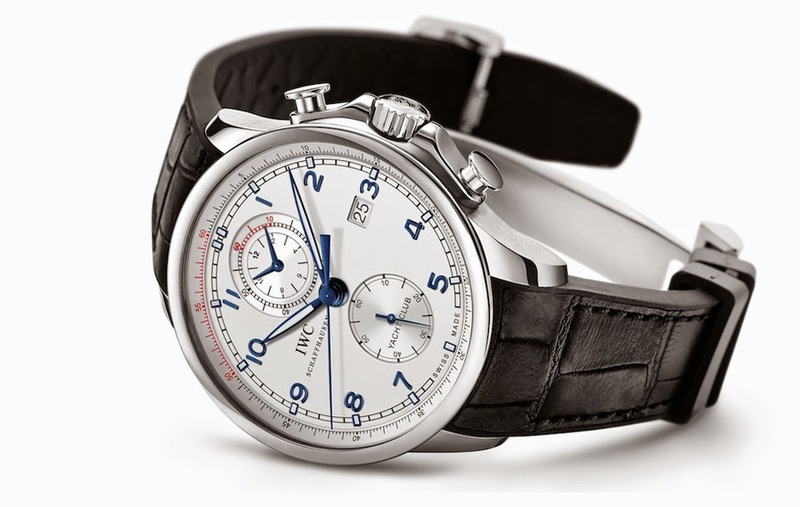 To celebrate the event, IWC presented a special edition watch: the Portuguese Yacht Club Chronograph "Ocean Racer", limited to 1,000 pieces. 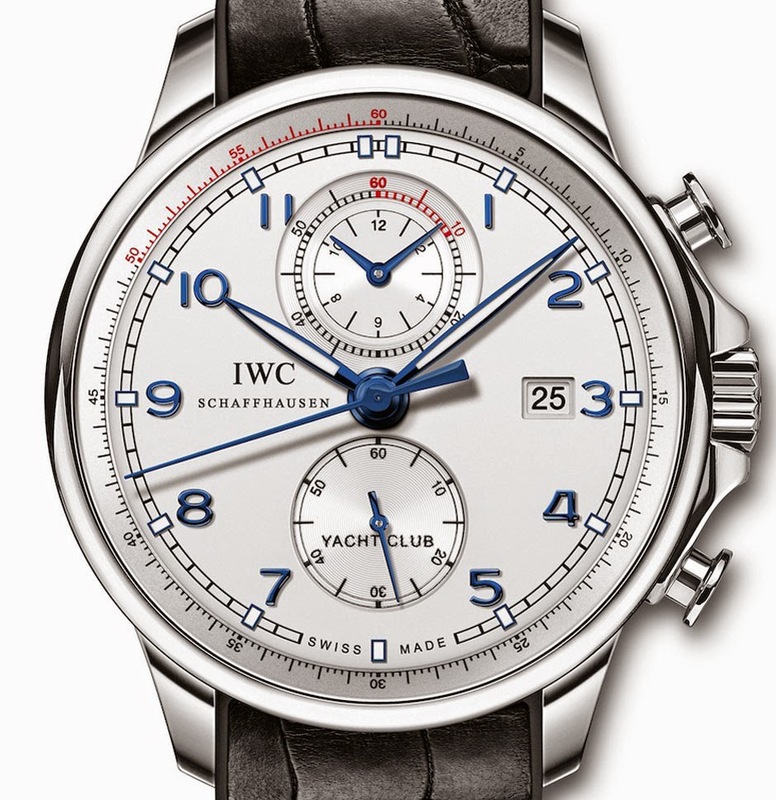 The IWC Portuguese Yacht Club Chronograph "Ocean Racer" (Ref. 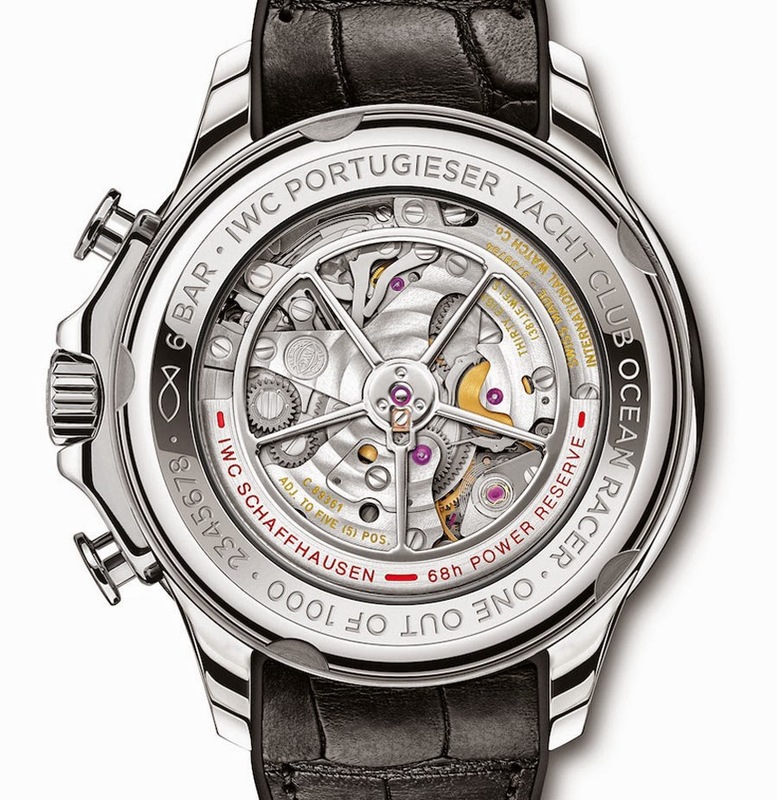 IW390216) has a retail price of Euro 12,500 / US$ 15,800.